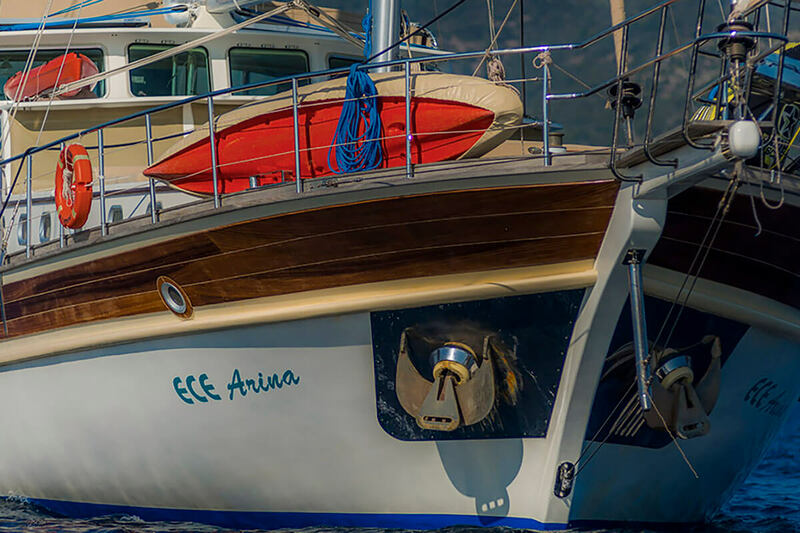 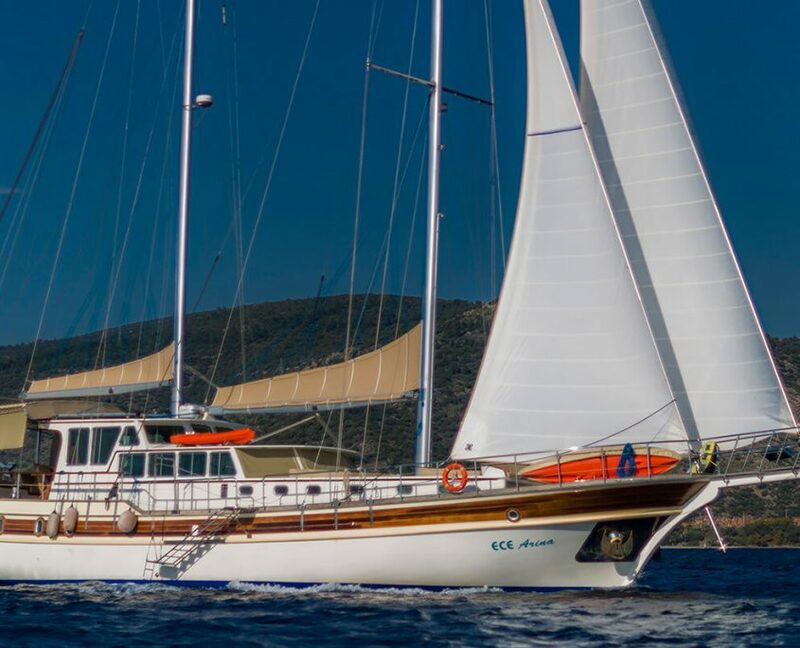 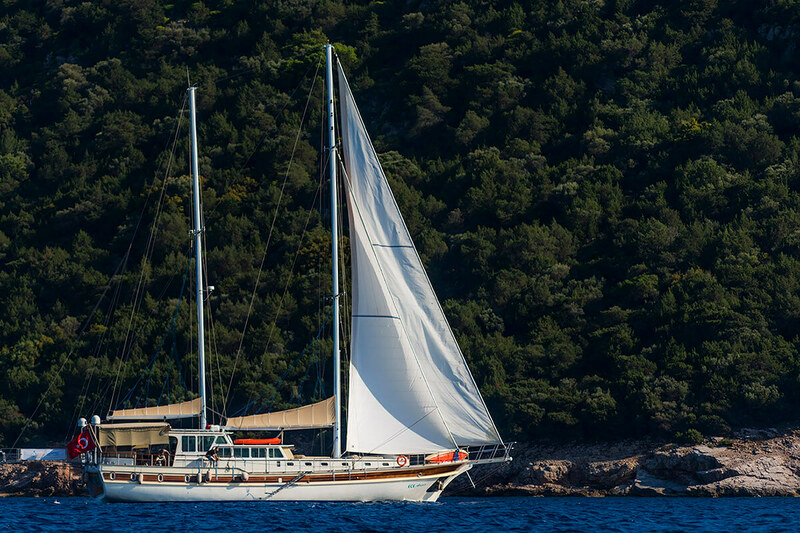 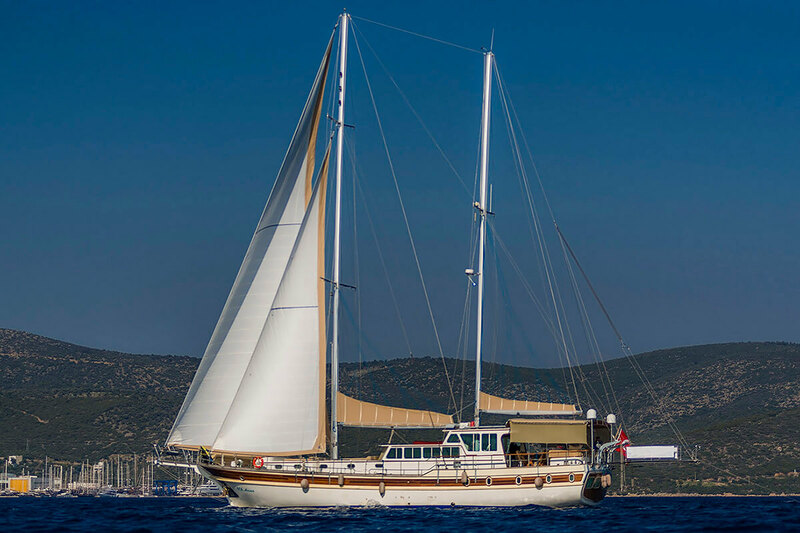 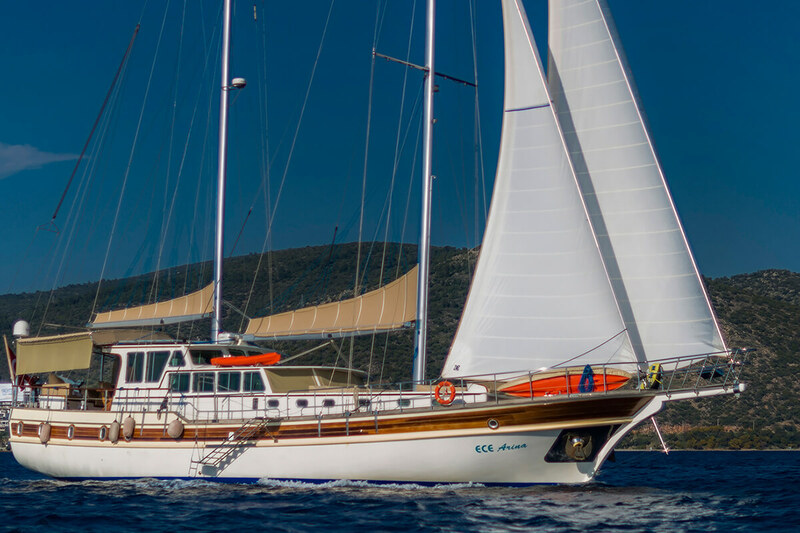 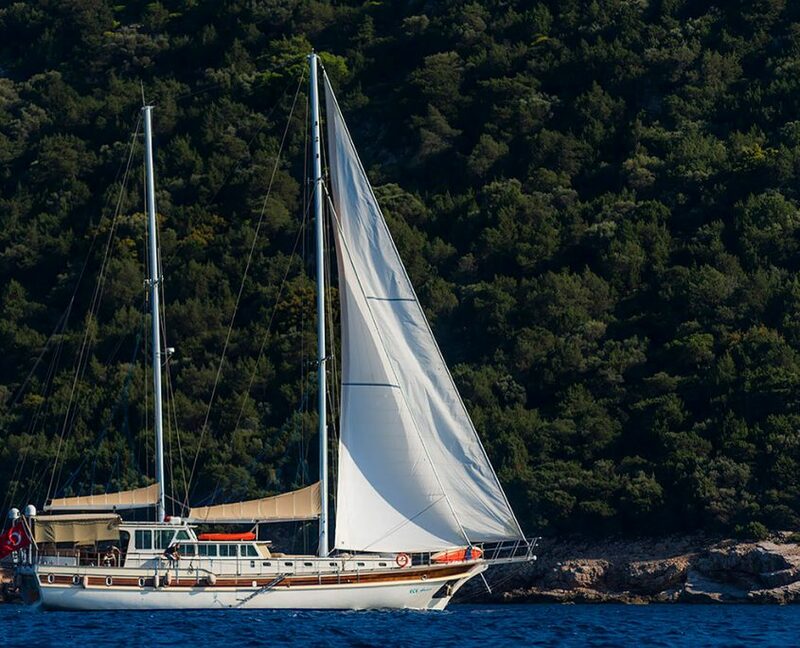 Ece Arina gulet is a 24 meter deluxe built in 2013. 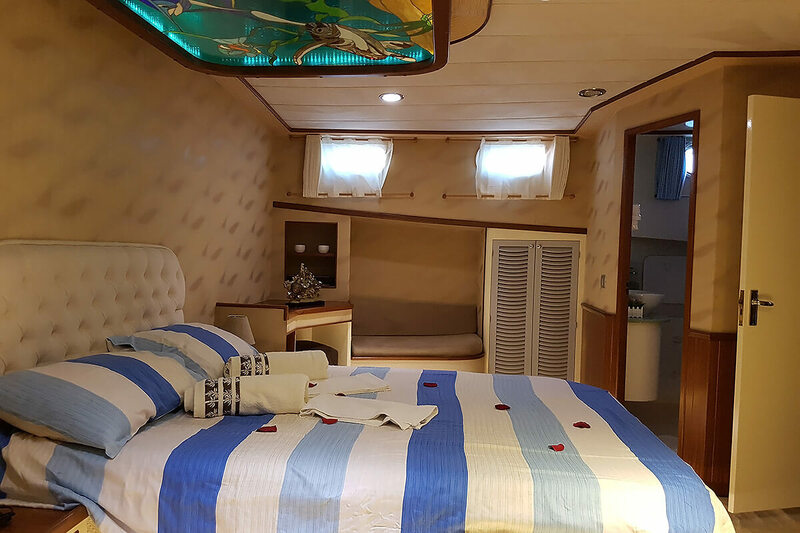 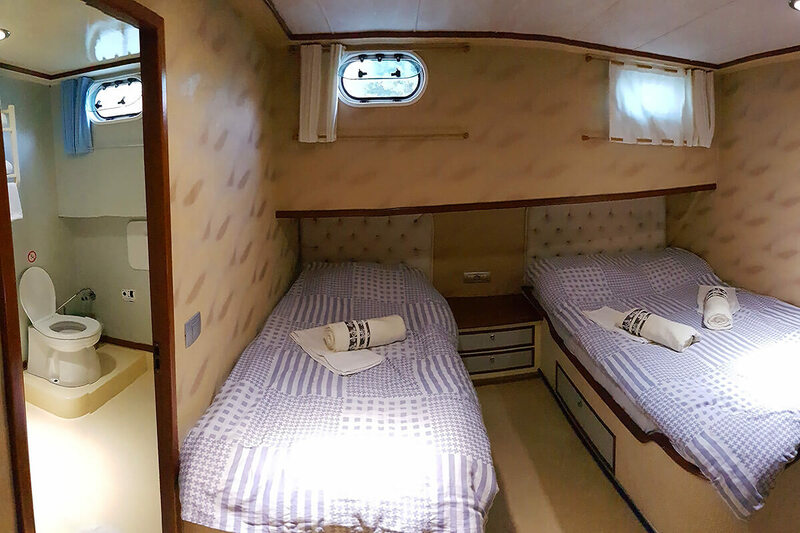 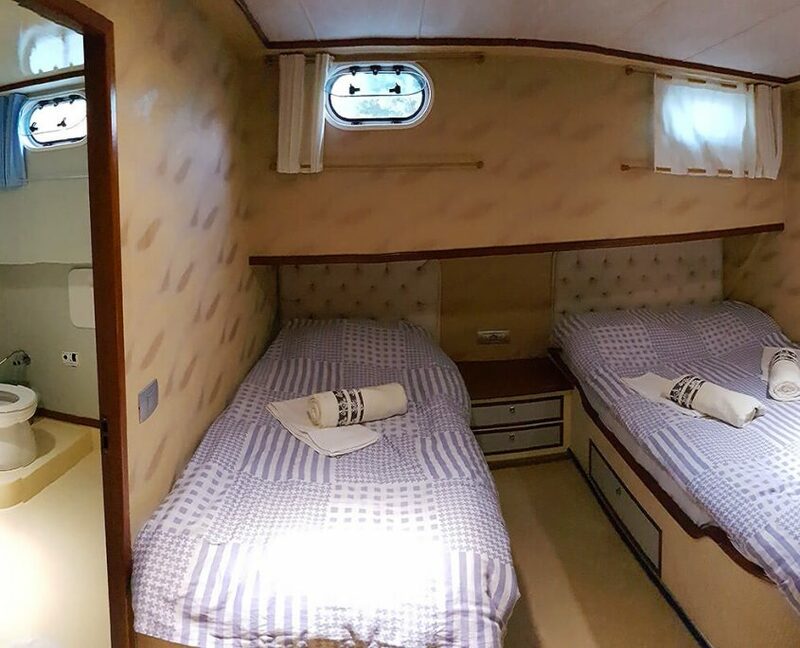 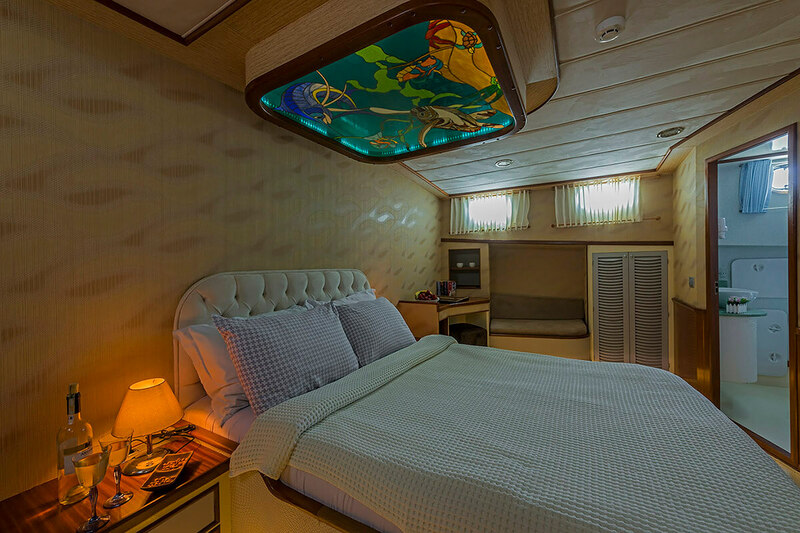 Guests can choose from 2 master cabins, 2 twin cabins and 1 single cabin – ideal for children to accommodate a total of 9 persons. 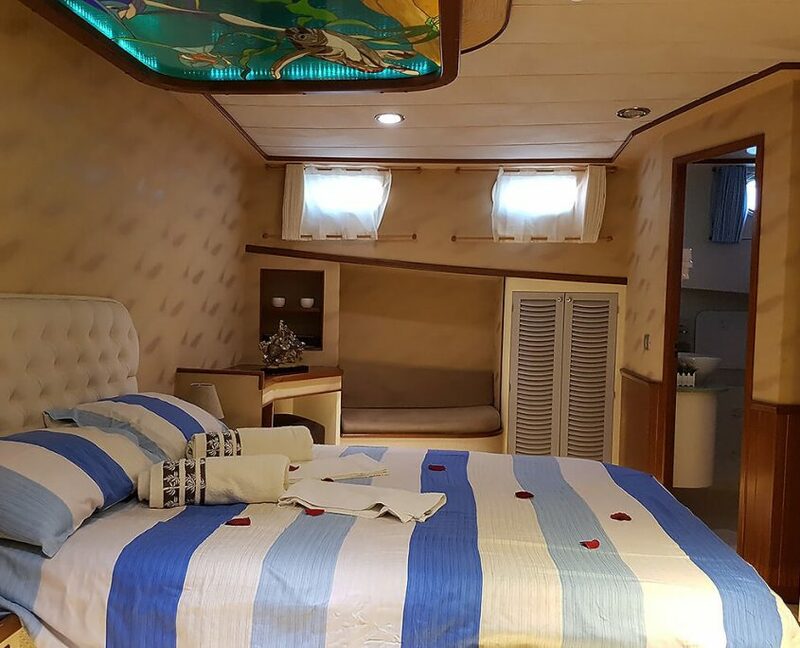 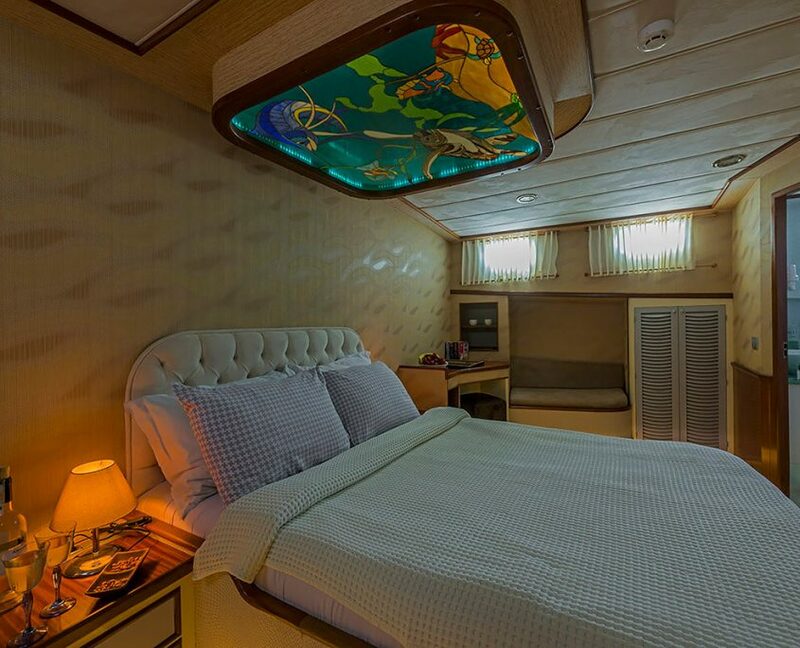 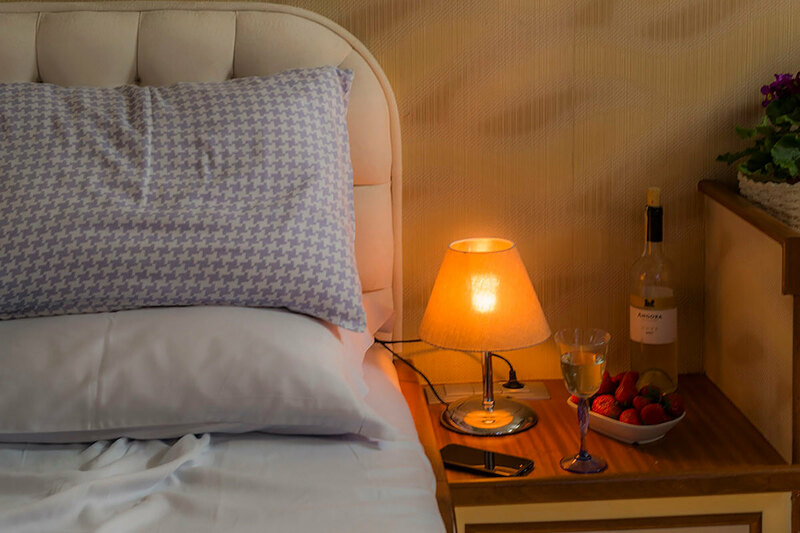 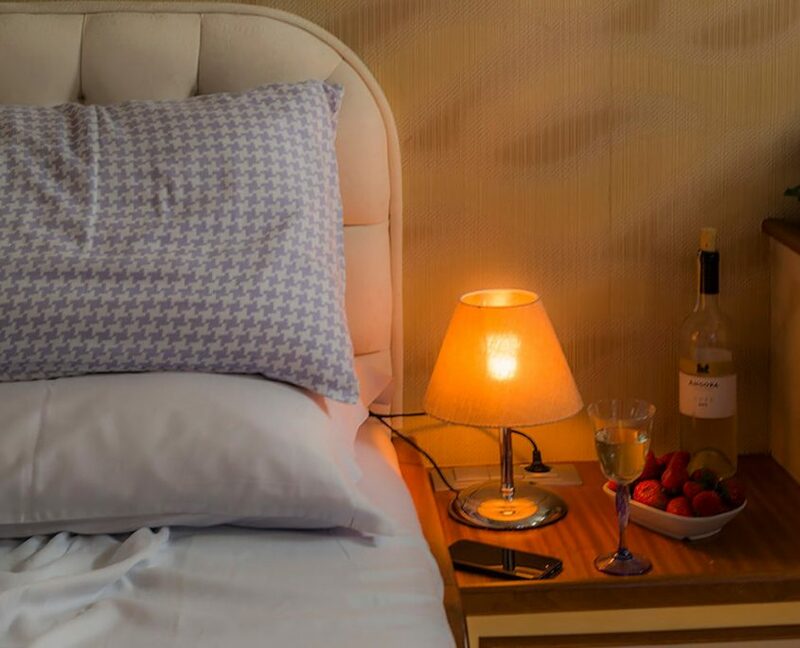 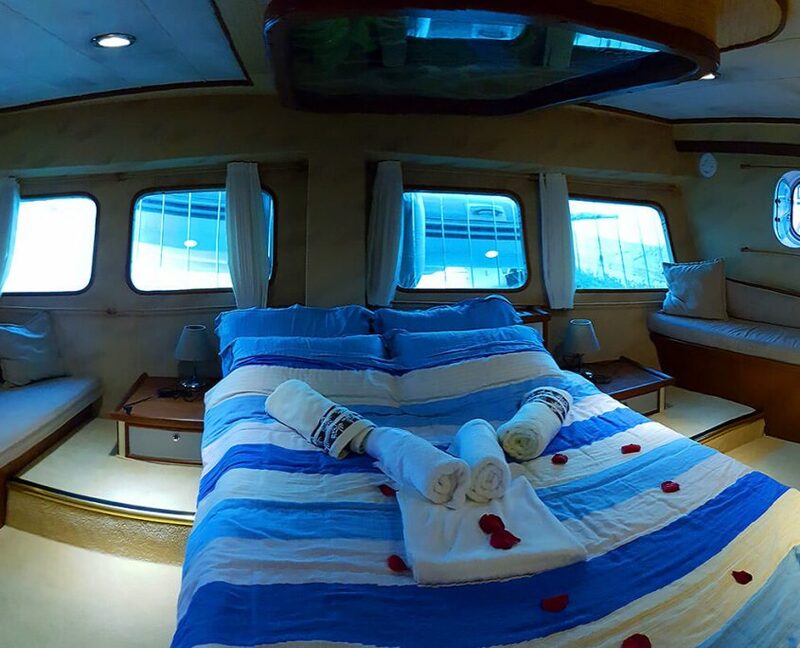 All cabins have private bathrooms and are fully air-conditioned. 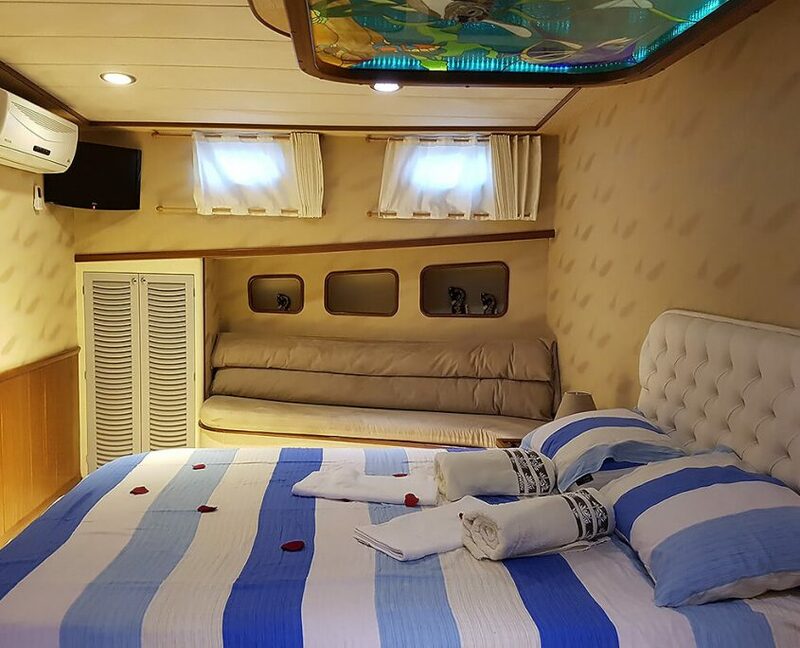 The large and spacious salon has comfortable seating and dining area and is very modern in her design, the salon is also air-conditioned. 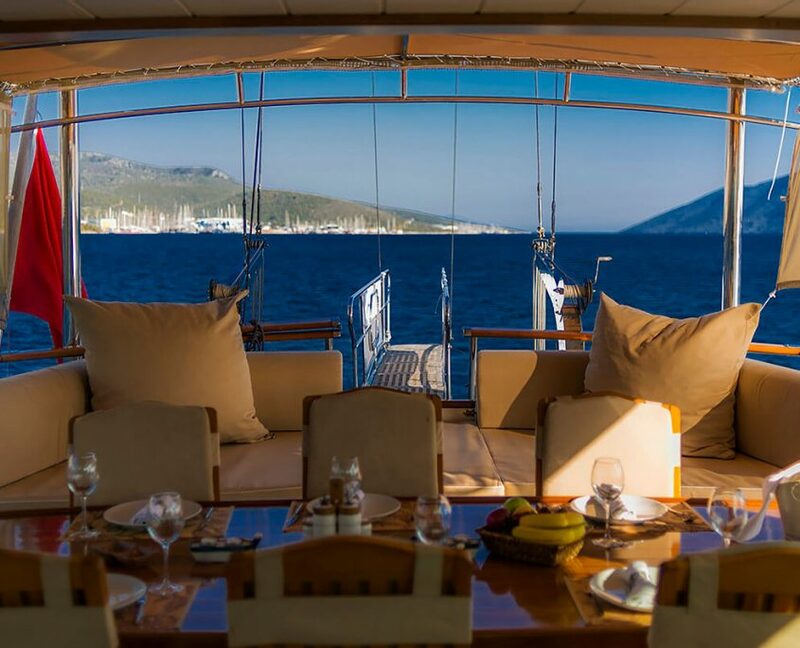 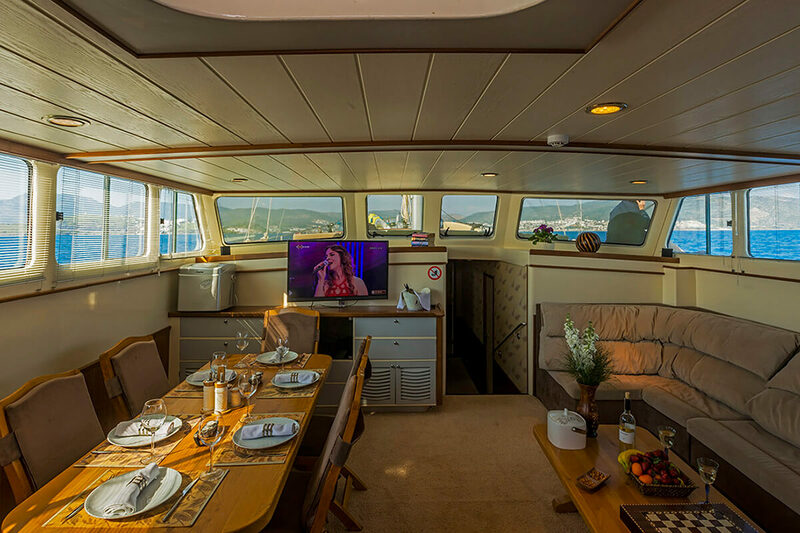 The foredeck offers you a very comfortable seating area and sun cushions to enjoy the summer sun and wonderful views as you cruise along the coastline. 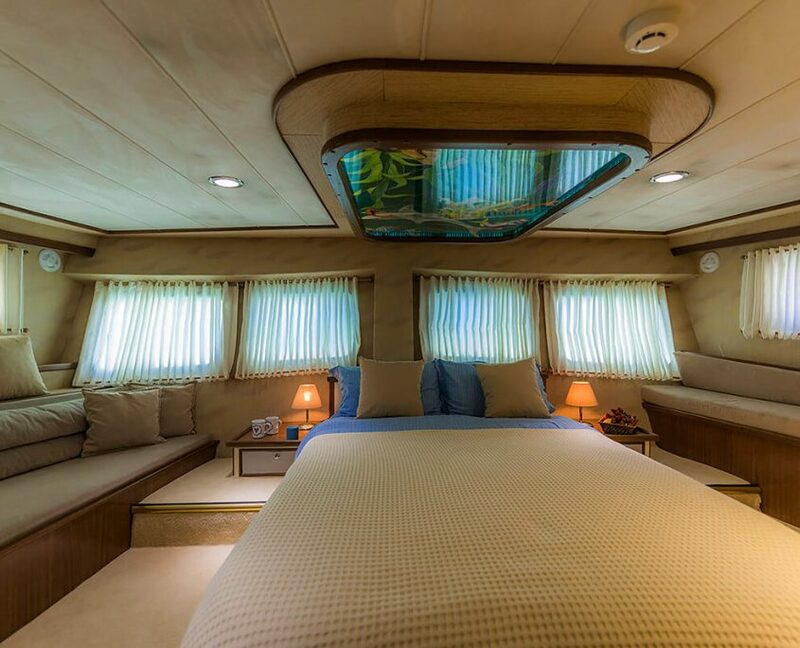 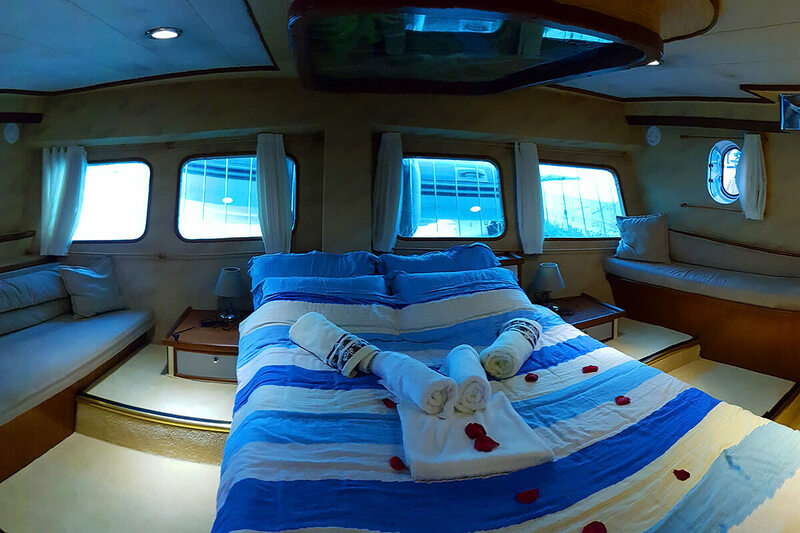 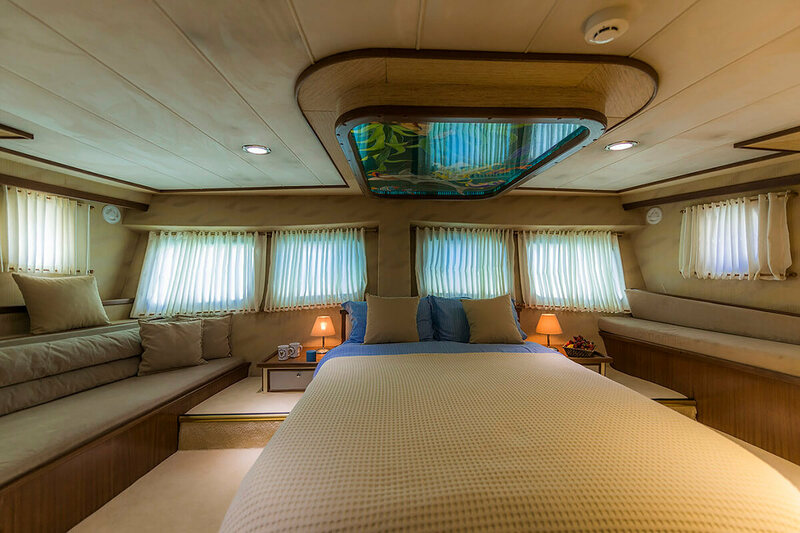 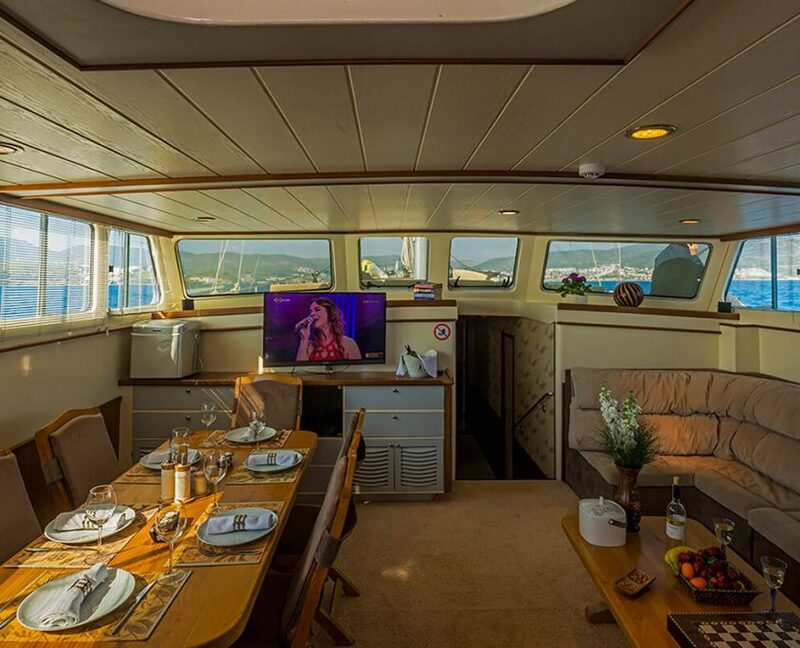 The aft deck has an al fresco dining area and a cushioned relaxation area. 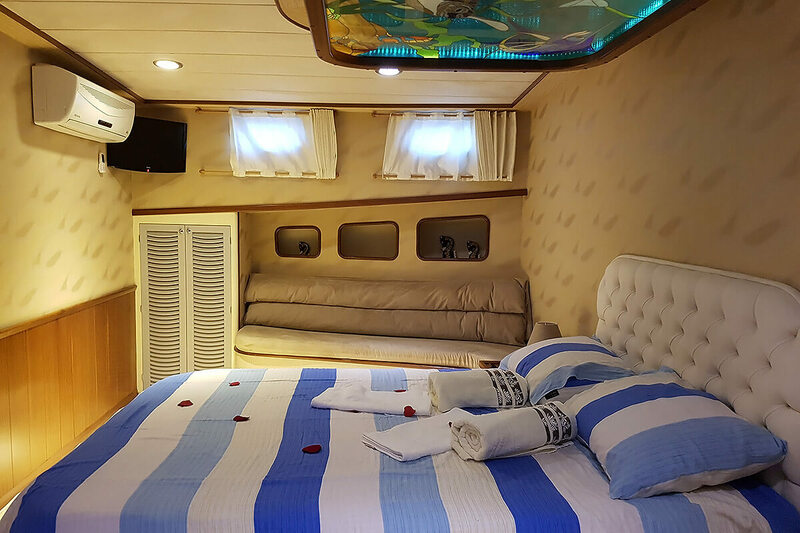 Water toys onboard include water ski, wakeboard, ringo kayaks and fishing and snorkeling equipment. 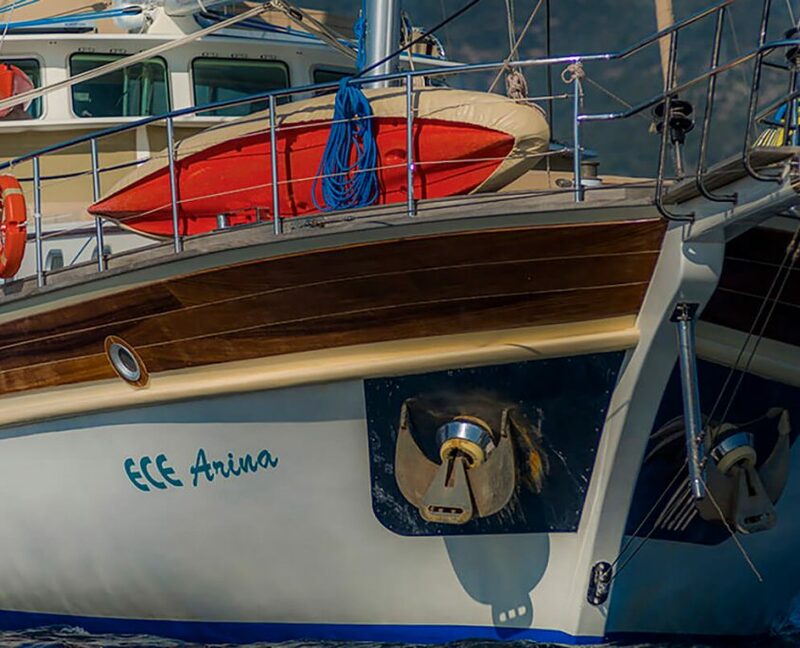 The captain and crew will ensure your blue cruise onboard Ece Arina will hold a lifetime of memories. 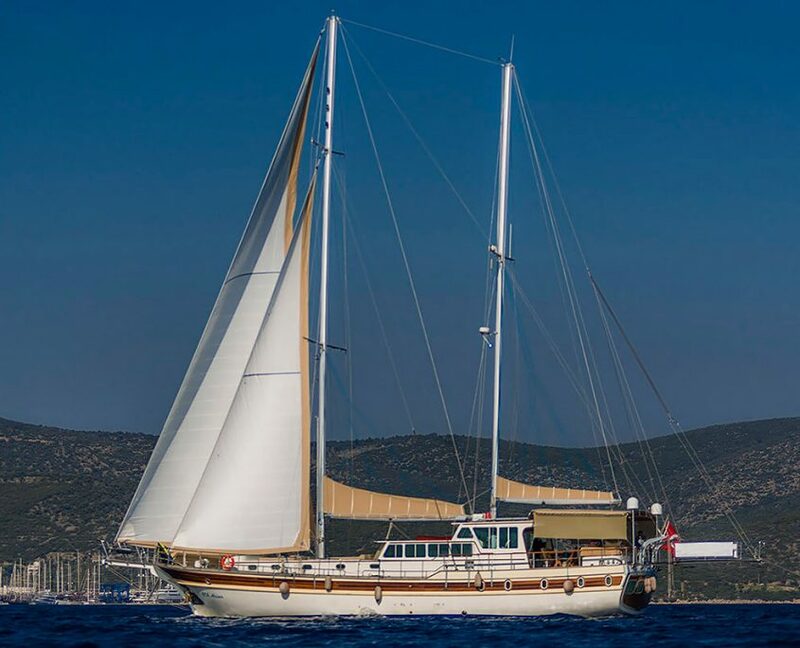 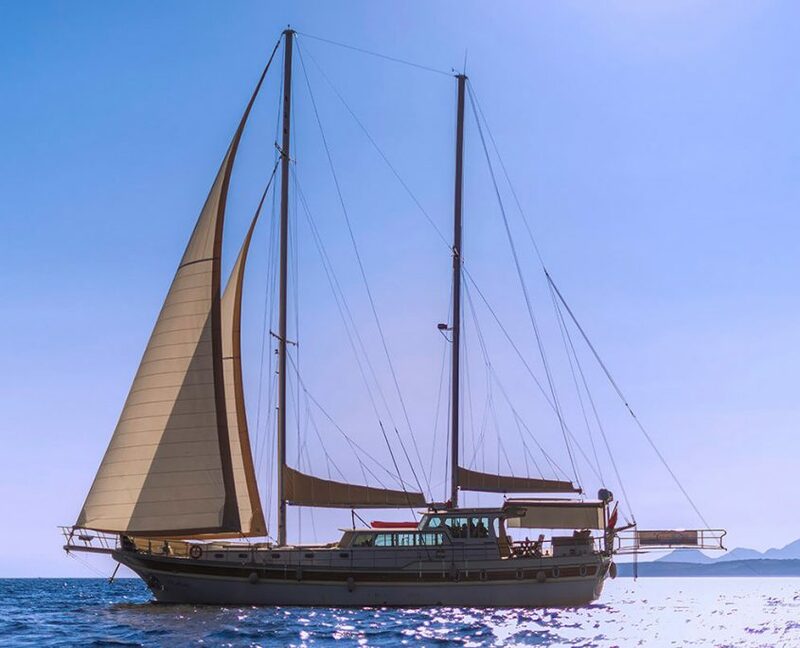 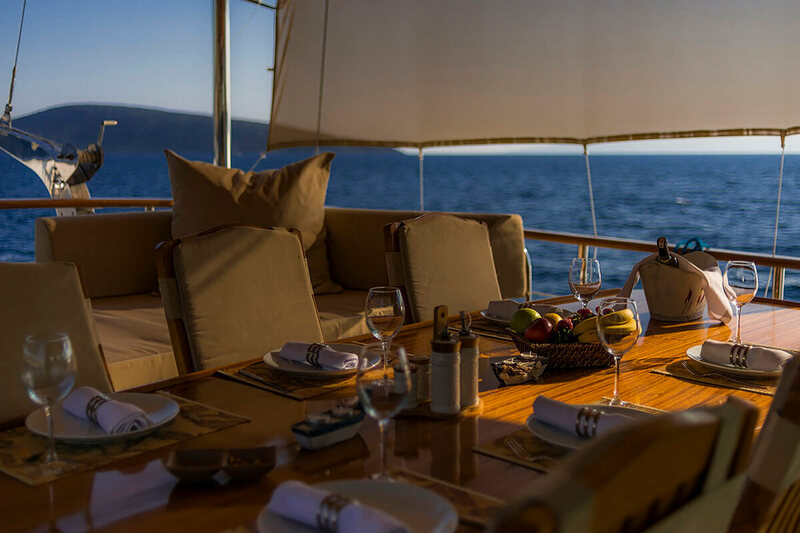 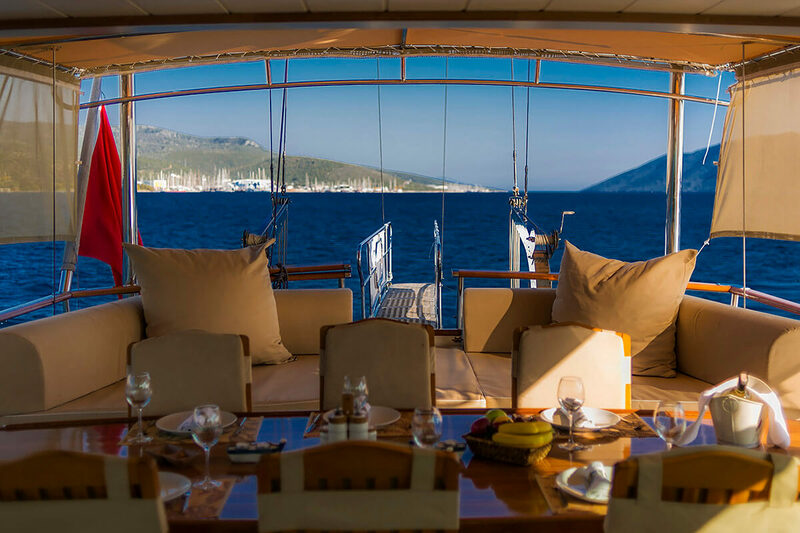 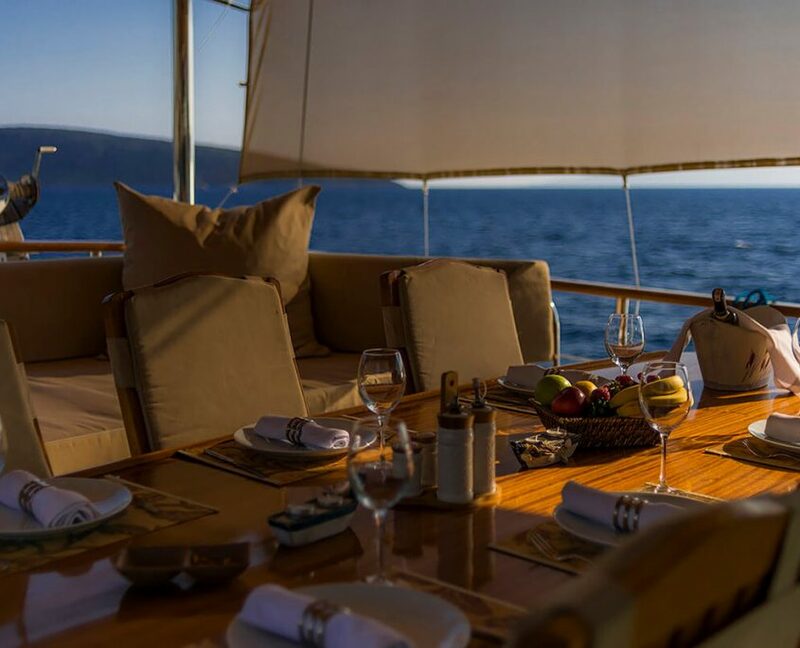 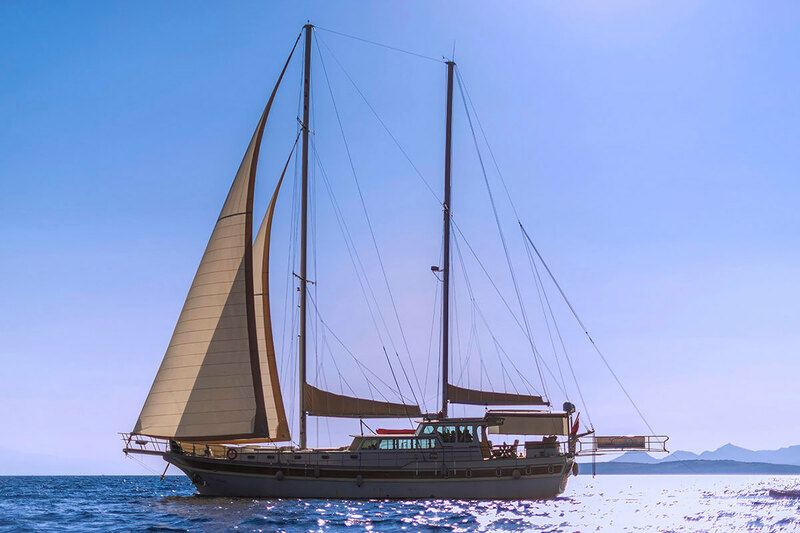 If you are looking for a fresh new yacht charter for your holidays at sea, why not consider this elegant gulet and explore the many breathtaking destinations along the Turkish coast all the way to the Greek Islands.